I see a lot of people at the dogpark that look a WHOLE LOT like their dogs. It has really made me wonder about Ray and I. Do we look alike? 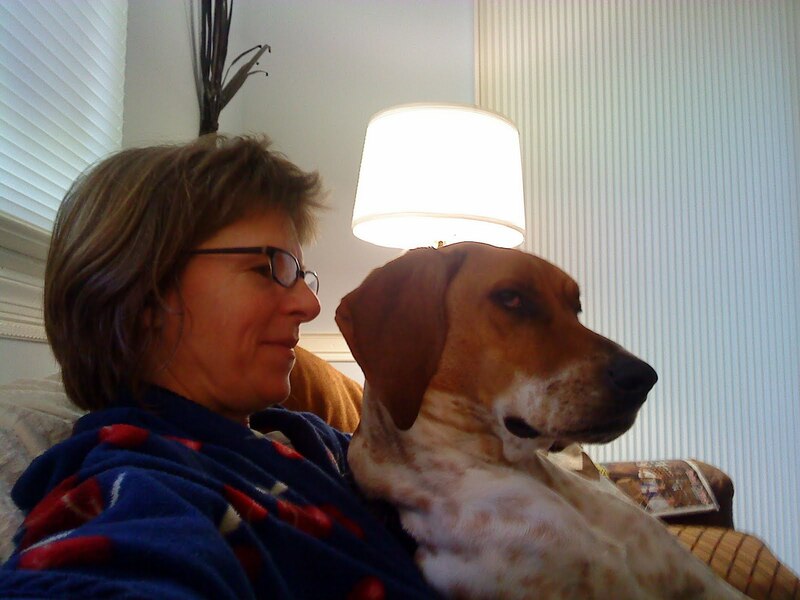 So this weekend, when Ray was feeling neglected, I pulled him up onto my lap for a little quality time. I snapped a few photos of us while he was in his quiet reflective mood. But I can't tell. I think I'm too close to the subject. Do we look alike? What do you think? I agree with anonymous, adding that your ears aren't nearly as big and floppy as Ray's. Thanks for your input. I'm thrilled to know that I don't have a big nose or big floppy ears!